"A huge step forward that should drive competitive advantage over time"
“Let's Do This is a sports technology startup based in London, UK and San Francisco, USA that helps people discover endurance sports events - running, cycling and swimming competitions covering distances anywhere from 1km to 800kms. 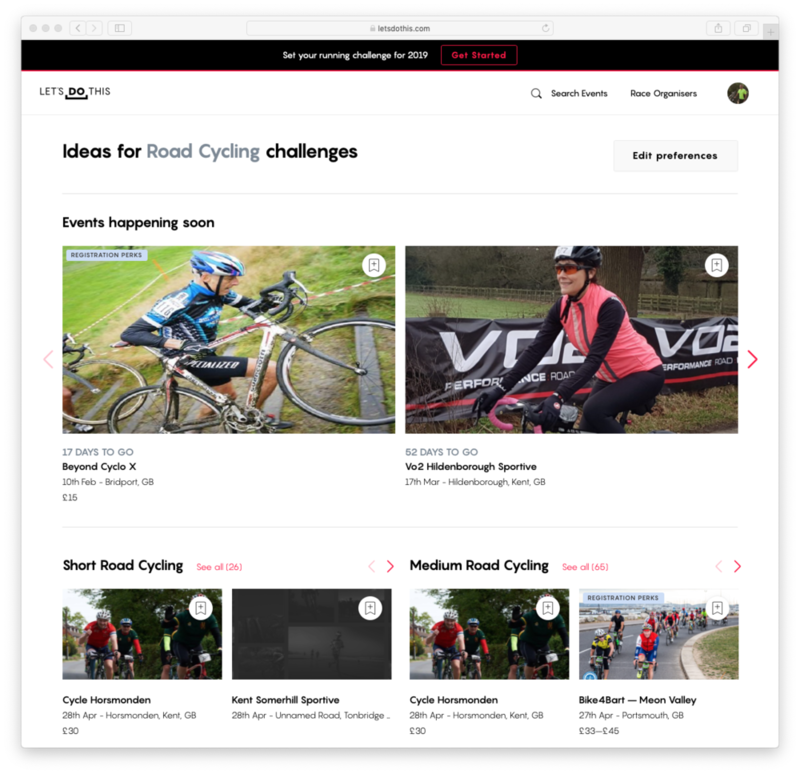 Our platform organises these events into one comparison site, and uses your fitness tracking data together with your social graph to recommend the perfect race for you. We had a need for a data analytics platform that brought together behavioural and transaction data from our online platform, and combined it with reference data on the races we track together with search and other data sources. We had recently invested in Looker and Segment technologies and were looking for a partner to help us build out our initial capability, integrate all of these data sources and then support us on our journey to become truly data-driven. "Critically, Rittman Analytics were able to understand INTO’s business imperatives quickly"
“INTO University Partnerships Limited (INTO) is a global education partnering organization headquartered in Brighton, United Kingdom. They form long-term joint ventures with globally ranked, ambitious universities in the United States, United Kingdom and Asia. Working with their partners, each year INTO transforms the lives of thousands of students by delivering remarkable academic and cultural experiences. These partnerships enable universities to achieve their internationalization ambitions and deliver sector-leading performance, exceptional student outcomes and remarkable student experiences. Driven by a desire to fully understand and optimize its digital transformation projects, INTO needed to baseline its online success metrics and fully understand the net contribution of the channels that contribute to a student application whether that be via the INTOStudy web site or class leading PartnerPortal. Rittman Analytics were engaged to help the Enterprise Information team understand the current digital landscape through a series of stakeholder interviews – and then playback a concise set of actionable, context-rich digital KPI’s that could be surfaced via the global OneSight reporting platform. Rittman Analytics then helped roadmap a path to digital analytics maturity. Central to this was a vision of a machine-learning based “co-pilot” that would enable operators and recruitment staff to make decisions optimally when liaising with potential customers. "Deep technical knowledge of Google BigQuery and Looker"
“Qubit believes in the power of data to get you closer to your customers, and Qubit Pro is the fastest, most scalable personalization platform available today. With a deeper understanding of every visitor and all of their interactions you can deliver targeted experiences that improve long-term customer loyalty, revenue per visitor and customer lifetime value. The highly granular, low-latency behavioural, quantitative and qualitative data we collect for brands is made available for analysis using Qubit Live Tap, accessed through vertical-specific Google BigQuery Business Views and a Looker Source Block for use with the Looker BI tool, our preferred analytics platform for Qubit Live Tap. We had a need to migrate all standard and customised Live Tap Business Views from BigQuery Legacy SQL to Standard SQL and to use this opportunity to implement table partitioning to improve the response time of user queries. As Mark Rittman was the original product manager for Qubit Live Tap Business Views and the Qubit Looker Source Block and is now a Qubit Partner, we engaged Rittman Analytics to carry-out the migration and to upgrade the accompanying Looker Source Block. "Their implementation was absolutely impeccable"
“Rittman Analytics were the perfect partners- they provided excellent direction on recommendations for technology that fit our organization, needs, and budgets and their implementation was absolutely impeccable. All work was well defined and expertly documented- I wish all of my vendors worked like Rittman Analytics. When we started out our data warehouse project, we knew that we’d have technology, data quality, and adoption challenges which would make the project stretch out over many months. On top of that we have a pretty lean team, so our capacity was always going to be limited. "Actionable insights to drive decision-making." “We run a marketplace that helps nurses find extra shifts in local nursing homes. We were looking to use data to assess the balance of liquidity within our marketplace and improve the efficiency of user on-boarding. Rittman Analytics helped us extract data from our platform, blend it with external data sources and draw actionable insights that we now use to drive decision-making.